1. 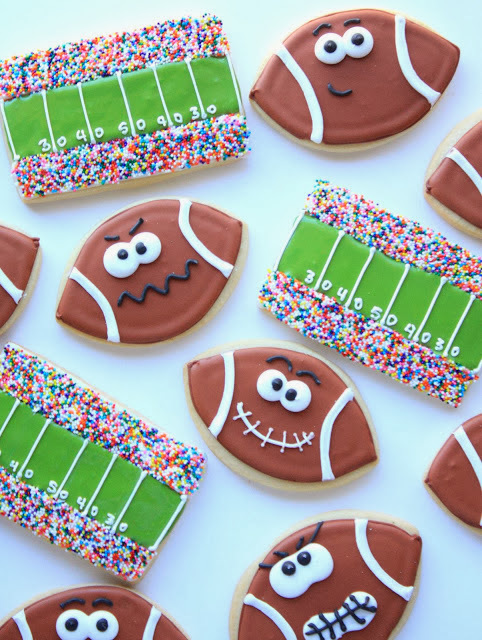 These "Game Face Football Cookies" garnered the #1 spot! I had so much fun making them that I just may need to whip up another version as the Super Bowl draws nearer. 3. A shiny apple is a classic gift for the teacher, even cookie apples. 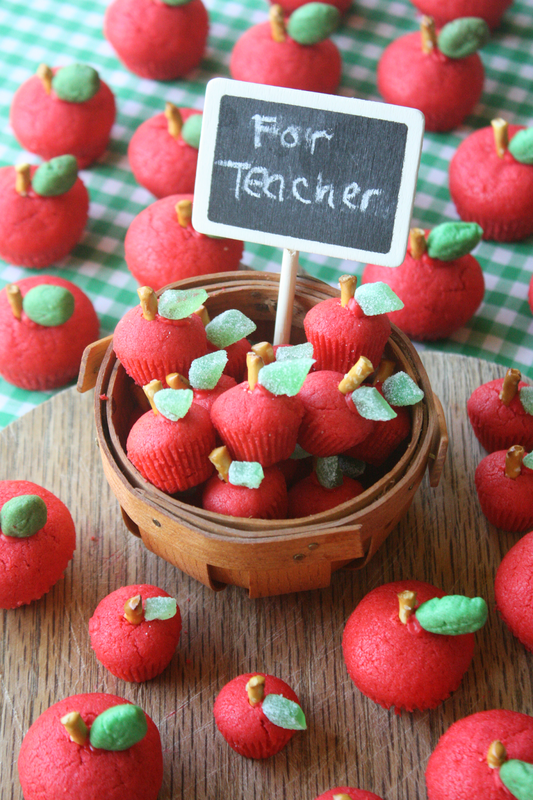 I decided to put my own spin on the classic fruit with "3-D Sugar Cookie Apples for the Teacher". 4. Another 3-D cookie version of a favorite fruit! 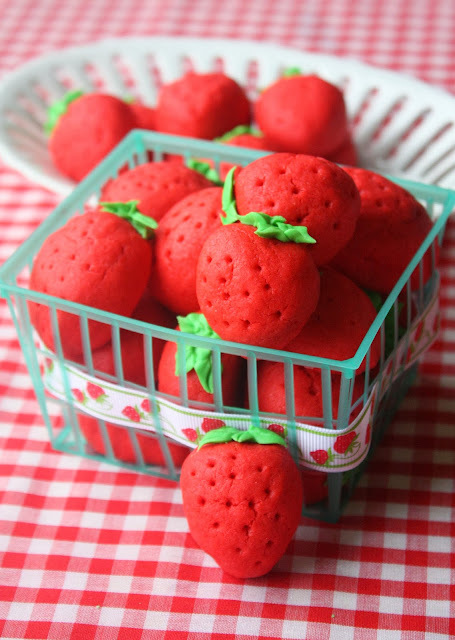 I actually made these "Strawberry Sugar Cookies" before the apples. With tinted dough and shaping by hand, it was easy to make enough to fill a basket or two in no time. 5. Nutella. Pancakes. Need I say more?!? 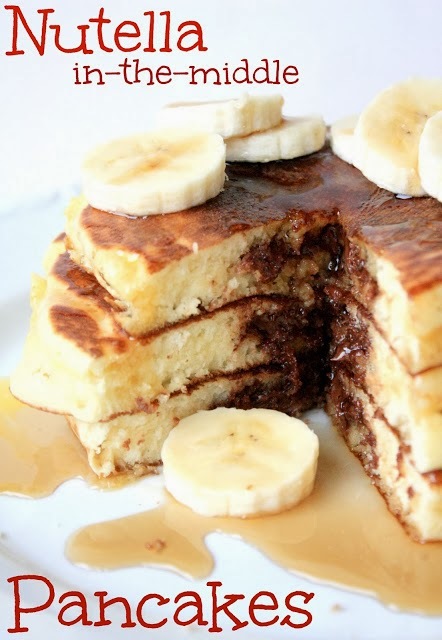 "Nutella in-the-middle Pancakes." 6. 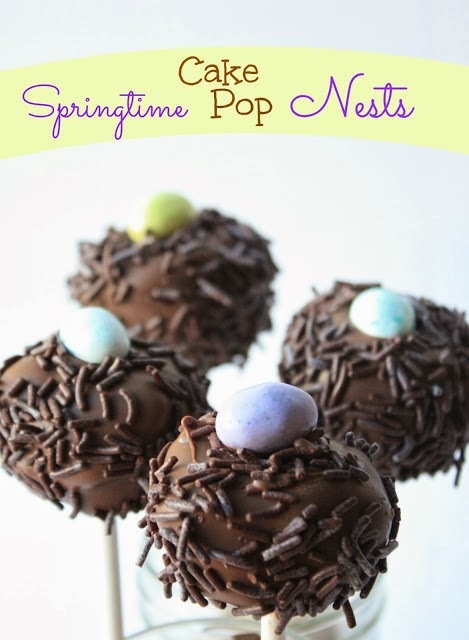 I was kind of surprised to see these "Springtime Cake Pops Nests" in the Top Ten. They were part of a collaborative Spring Cake Pop project. 7. 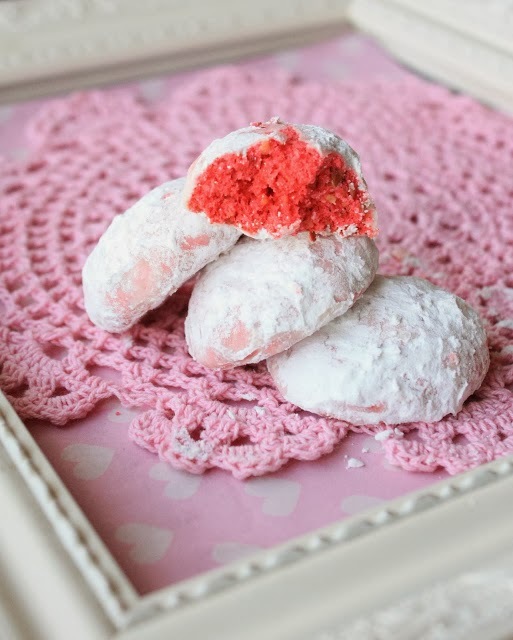 This is a Valentine's Day version of the popular Mexican Wedding (or snowball) cookie. I like how the white contrasts with the vibrant red when these "Valentine Snowball Cookies" are bitten into. 8. I had a partial bag of ice cream cone shaped marshmallows in my pantry and decided to turn the summer themed treat into some winter elves (and Santas) by dipping them into candy melts. The rest, as they say, is history (I know, a bit dramatic). 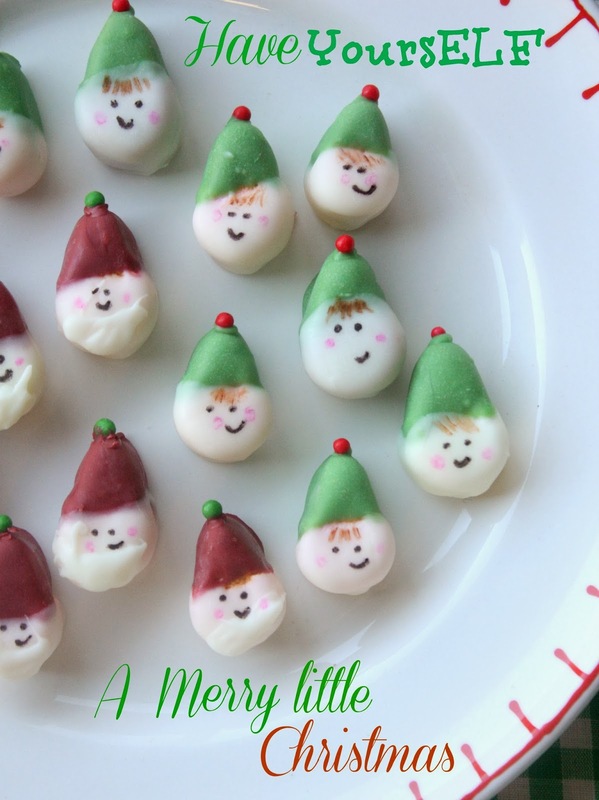 I was smitten with these "Mini Elf (and Santa) Treats"! 9. 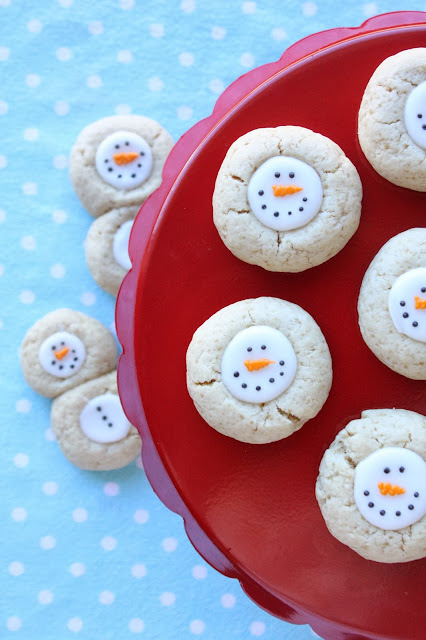 I've made a few version of thumbprint cookies, but these "Thumbprint Snowman Cookies" just might be my favorites! THANK YOU for all the support and friendship you have given me this year with your visits and comments. I appreciate each of you! I couldn't possibly pick a favorite - all fabulous! :) Happy new year, Sue! Thanks Jennifer! Happy New Year to you and your family! Hi Sue, After reading this post I just had to thank you. 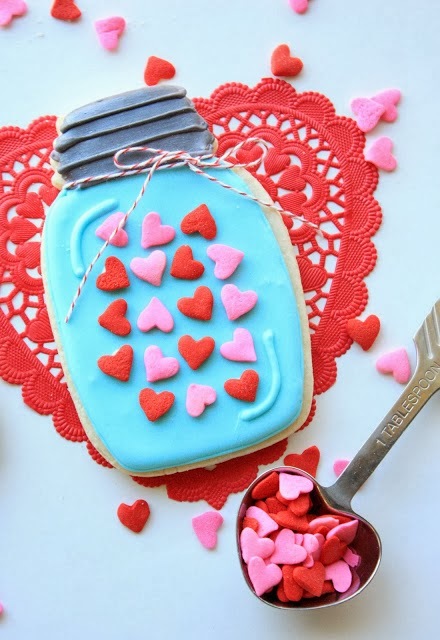 I made your Sprinkled with Love Mason Jar Cookies for my daughter's bridal shower last spring and they were a huge hit! Everyone thought they were so beautiful. Thanks for helping me make her day special. Happy New Year! I'm so happy to hear that, Lisa; thanks for sharing! I would love to see your cookies if you have a photo:) Happy New Year! I didn't realize until I saw all your pretties together how much you had influenced my photography skills over the year...not only are your cookies fabulous and sweet, but your styling makes them even more so! Thanks for being an inspiration and sharing all your hard work. Happy 2014 and cheers to another year of wonderful sweets! Wow, I am honored to have any kind of influence relating to your awesome cookies! Thanks for the sweet comment, Melissa:) Happy New Year to you! I can't even begin to pick a favorite. They are all so incredibly cute and creative! I can't wait to try some on my own. They are all my favourites, Sue. Happy New Year! Thanks so much, Angie:) Happy New Year to you! Thank you, Lisa! Have a fantastic year in 2014! 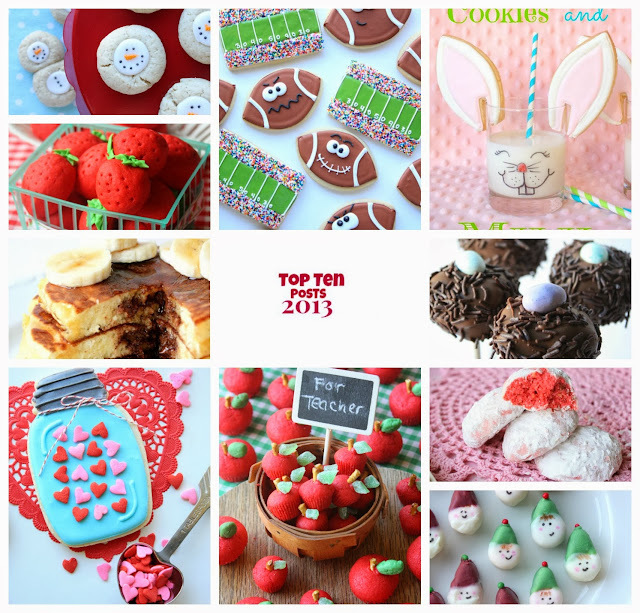 Everything is so much fun to see - can't wait for all of your fabulous creations in 2014! Happy New Year! Thanks Kim! Happy New Year to you too! These were some of my favorites too! We're looking forward to seeing more in 2014. Happy New Year, Sue! Thanks so much, Sasha, and Happy New Year to you too! I will be in touch SOON! Fun to see your roundup! I missed some of these.....I especially love your bunny ears! Wow, so cute! Thank you, Jenni:) The bunny ears are my favorite too. Happy New Year! They are all so cute! It makes me want a big cookie for breakfast, but I guess the fabulous pancakes would start the day right too! 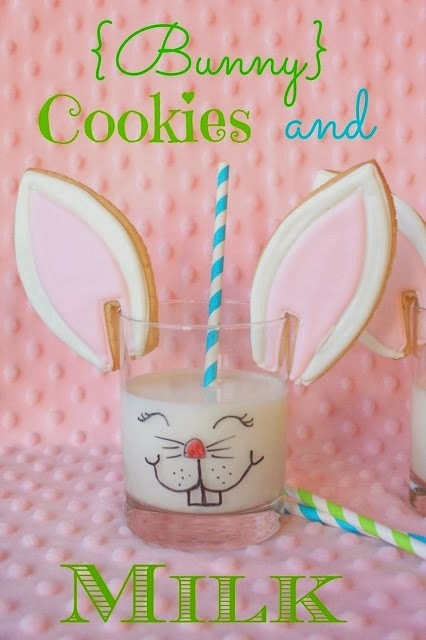 I am going to have to make the rabbit ears this year. I know some kiddies that would love that! I just love every single one of these...so cute!! These are all awesome, Sue, but I flipping' LOVE those jar of hearts cookies. Eeeee! They're so cute!